Guy Finley Followed By An Illustrated Meme. | Let's Live Forever! Any time our attention is given to some thought or feeling, it animates that condition; our attention invests what it falls on with a certain kind of life energy. Another unknown phenomenon about attention is that when it is given to something—for instance, a timeless night sky—it facilitates within us a union with the qualities of that “world”. And this dynamic is in operation all the time: to consider something is to be connected to it. If this is the case, it’s probably in our best interests to be careful what we give our attention to! After its initial release last June, this book became the #1 best-selling title on Amazon.com, in 12 hours. I’m pleased about that, because it shows people are interested in breaking free of fear, and are wanting to be the real, authentic selves they know awaits inside. There is no brighter gift, no greater potential given to us human beings, than the presence of a timeless Light within us whose power makes all things possible. Its celestial character knows we have not been created to live as the captives of any fearful condition, let alone those we unconsciously create for ourselves. Several times each day, whenever you can remember to do it, deliberately disconnect yourself from your own thinking. Choose awareness of your thoughts over being absorbed in the sensations they produce as they carry you along to get what they want. 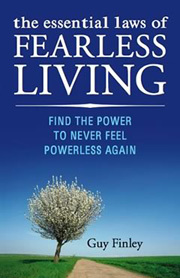 I think it’s interesting that so many people today even think it’s possible to become less fearful, and more fulfilled and satisfied with their life. They are willing to see beyond being a helpless victim of random circumstances (e.g. their health, their workmates, the economy) and deliberately choose the world they want to belong to. Here’s to a fearless life! I don’t usually do memes, but I thought I’d make an exception this time. As I’m pretty boring, I thought I’d jazz it up with some pictures! 7 things you probably don’t know about me. 1. 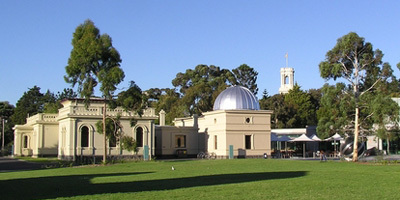 I used to work as a tour guide, both through the streets of Melbourne, and at the old astronomy observatory here. 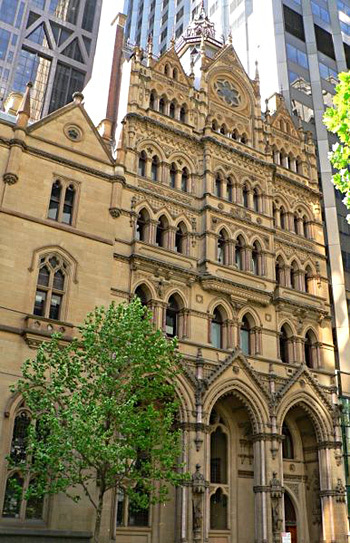 Melbourne is a Victorian gold city (as in Queen Victoria) – here is the observatory, followed by two of Melbourne’s iconic buildings, the old Stock Exchange, on the right, and an 1880s bank on the left. 2. I lived in the country for 4 years, when I first started school teaching. 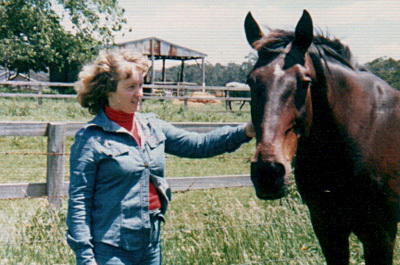 My housemate had a mare and a gelding, then we had a foal – this is me with the gelding, at our house (1978). 3. 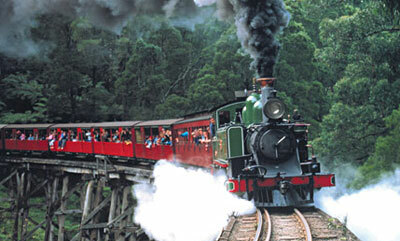 I grew up in a family who worked as volunteers keeping the Puffing Billy railway going. 5. I used to play the flute and piccolo. The photo is me in about 1977. 6. I am a fully trained breathworker (rebirther), and Reiki practitioner (level 1). I’ve never hung out my shingle for either of them – but I am very grateful for the experience of integrating these two practices into my life. 7. My overseas travels consist of visiting Europe for 6 weeks, New Zealand twice, and Bali. And Tasmania and Kangaroo Island – but they don’t count. The idea is that I tag 7 more people to do this meme, but I feel uncomfortable at the thought of tagging people who might not want to do it. So if you would like to do it, consider yourself tagged! If you wish, let me know and I will put your name and link below – to a limit of 7! I love the angle you took with this meme, adding the pictures in – what a great idea to illustrate a little about ‘you’ through the years! Anyway, it’s great to know you a bit better, and what a fun way that you did that! Hi Robin. Welcome back from your trip. “I think it’s interesting that so many people today even think it’s possible to become less fearful, and more fulfilled and satisfied with their life.” — I supposed this is one benefit to all the uncertainty in the world today. It drives us to find ways to balance our lives for the sheer need to survive. Speaking of “balance”, did you know that Stacey’s ebook “How to Practice the Art of Life Balance” is one of the bonus gifts for people who buy this book? I enjoyed your meme, and the photos. I just did a meme yesterday… there’s a wave of them going around 🙂 You remind me of my younger sister in those photos. I LOVE the sound of the flute! For some reason I could never learn to play it — just the clarinet. The flute is harder I think isn’t it? It’s nice to know more about you Robin… and I LOVE your photos from the seventies! I enjoyed knowing more about you. I also enjoyed looking through your pictures. It’s nice that you went a little back in your history to give your readers a peek. I’m off to check out Guy Finley’s book!! I’ve been meaning to but haven’t gotten round to it. Thanks for the recommendation! Evelyn Lims last blog post..HAVE-DO-BE or BE-DO-HAVE? Beautiful horse! I agree, it was a great idea to add the photos and good to learn more about you. Why did you give up the instruments? It’s so interesting that your parents were involved with that little railroad. I like that idea of disconnecting from my thoughts a few times a day. detaching or disconnecting from your thinking…hmmm. seems very hard to do, but i could give that one a shot. dear robin, you provide a lot of insights in your secret life, which shows, that you don’t fear anything. rainers last blog post..Where is it ? Wonderful post! Do you still play the flute? And writing at a sewage plant eh, that struck me as funny, but I guess there’s a need for writing everywhere. Hi all – I’ve been a little slow to get to the computer – we have had an immense heatwave here in Melbourne. @Lance – thanks Lance! I enjoyed going through the photos, too. @Davina – I’ve since seen your meme – funny we both did one in the same week! @Vered – you liked my denim shirt? @Jenny – observing ourselves can work wonders, I think. @Evelyn – thanks – maybe I’ll dig some more out, some time. @Dot – he was beautiful – we used to stand leaning the sides of our faces on him, listening to his tummy gurgles. His name was Cam. I decided the flute wasn’t “me”, and took up drums. That didn’t last either. @Natural – oh you must have something tucked away there – not that you are obliged to put everything on the internet! @Jannie – No, I have lost my embesure – I get tired lips. About the sewerage – I thought it was pretty funny, too. I was writing educational materials. Hi thanks for the info. Now I know what a meme is! I’m relatively new to the blogging world and had just recently come accross the “meme” thing and was wondering what the hell it was. ribbons last blog post..The Gift of Giving! Thanks for sharing. I used to play the flute too. I was tagged and just wrote a list of 25 random things about me for my personal facebook account. Your post is making me think I should post this list on my blog. Hi Robin – Guy Finley’s book is on my must read list. I’ve been getting his newsletter for a while. I love your picture tour of your life. 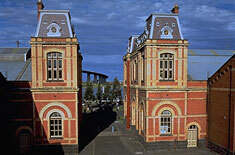 What made you decide to write about Melbourne’s sewerage system? Where did you go on your visit to Europe? I would really like to visit Italy this year. Working out the cheapest way to do it is proving to be a challenge though. Venice and Rome make London seem cheap. Cath Lawsons last blog post..The World Is Knackered – What About You? @ribbon – I know what you mean about memes! – ridiculous term! @Stacey – I see you’ve put up your 25 things – I’ve just read them and I love them! Makes me wish I’d put more photos in mine. @Cath – That’s interesting that you want to read Guy’s book – I hadn’t heard of him before participating in this. I did the sewerage writing because I was needed the money! My visit to Europe was a 6 week bus tour in 1980 – so I’m not much use, I’m afraid. We would like to go to Italy, too. Oh dear, I need to think more positive about my physical form according to Guy. This I think I’ll be working on this forever! His book sounds deep with no fluff. Hi Robin – You’re full of surprises, a gal of many talents. I always find it interesting how past experiences lead us to where we are today. It appears you’ve always had that creative spirit. Thank you also for the great book review. It sounds like a fascinating read. Hello again, I’ve just become aware that you came for a visit & a comment. Sorry you weren’t able to do so. Maybe ’cause it was the wee hours of the morning you were supposed to be resting! Anyway thanks for the visit. Sorry it wasn’t a successful one for you and thanks for taking the time to let me know. Enjoyed the pictures and getting to know more details about you..
Shamelle- TheEnhanceLifes last blog post..Is Heavy Thinking Ruining Your Life? @Tess – ha ha – many of us need to work on that one. @Barbara – yes, it IS interesting how our experiences bring us to where we are now – and thanks! @Ribbon – that’s OK – you may be better off using the default comment system in Blogger – I’ve struck another blog with that image missing, today. @Shamelle – hiya Shamelle – thanks for that!